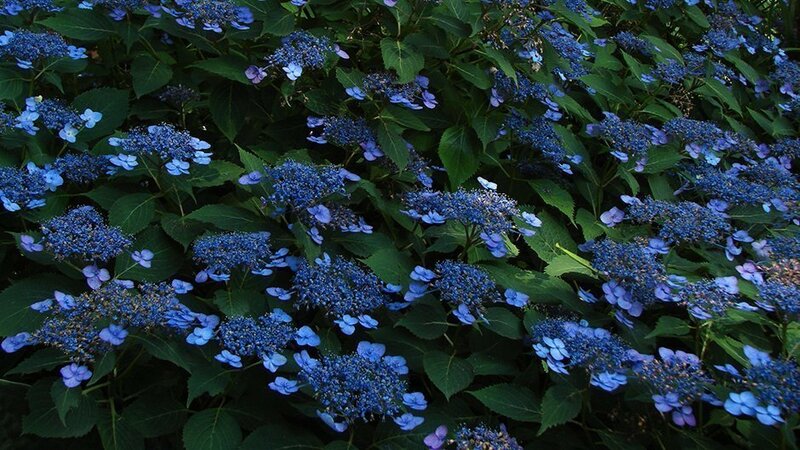 This hydrangea has been selected for its very compact shape with a diameter of 120 cm x 120 cm. In June, the shrub is covered with flat head inflorescences, carried by strong stems not bending under the weight of the flowers: flowering occurs on wood of 2 years. The sterile flowers are very large, ultramarine blue to purple in acid soil in basic soil and surrounding fertile flowers with large stamens of the same color.